Europe is the ashtray of the world. More than one in four Europeans are smokers, and half of them will die prematurely because of it, shortening their life by 14 years on average. In fact, according to the World Health Organization, Europe has the highest prevalence of smokers among adults in the world (28% compared to a global average of 21%). Europe also has one of the highest proportions of deaths attributed to tobacco use. At a time when healthcare systems across the EU are coming under increasing pressure from budget cuts and ageing populations, breaking Europe’s smoking habit could make a real difference. The WHO calls smoking the “single most preventable cause of death and disease”. According to the European Commission, tobacco consumption is responsible for nearly 700,000 deaths in the EU every year. In addition, smokers tend to suffer poorer health during their lives (including increased risk of cancer, cardiovascular and respiratory diseases), which means they place a greater burden on health systems. Worryingly, there’s little sign that smoking is going out of fashion. In fact, tobacco use among young Europeans is increasing, and in some countries (such as the Czech Republic, Latvia, or Lithuania) smoking among adolescents is on par with that among adults. The WHO predicts that, unless it accelerates efforts, Europe will miss its target of a 30% relative reduction in the number of smokers by 2025. Obviously, the average figures disguise a great deal of variation across the continent. In Sweden, the proportion of daily smokers is less than 9%, ranging all the way up to 27% in Greece and Bulgaria. Likewise, the public health response also varies from country to country, with many EU Member States placing strict bans on smoking in enclosed public spaces (including bars and restaurants), whereas others either have no ban at all or allow smoking in designated areas. Currently, only 17 out of 28 EU countries have a total indoors public smoking ban in place. There is growing evidence of the positive impact on public health of so-called “smoking bans” in bars and restaurants. However, the issue is divisive politically, even becoming an electoral issue in Austria in 2017. Opponents argue it is another case of the “nanny state” trying to manage people’s lives. They argue that smokers actually contribute more in tax than they cost as a burden on healthcare systems. Should smoking be banned in restaurants and bars across the EU? Or should governments stay out of individual decisions? What about the increased burden that smokers place on health systems? Let us know your thoughts and comments in the form below and we’ll take them to policymakers and experts for their reactions! it should be banned EVERYWHERE! And who are you to decide what substances I should be putting in my body? My safety is my responsibility, not that of a bureaucratic few who think they have the moral authority to dictate my social life. If a businessman decides to allow smoking, it is his property, and so be it. You are not forced to be there. Hi Shahzad, actually only 17 out of 28 EU countries have a total indoors public smoking ban in place. Click on the link to the debate. No, I’m against it, let owners decide what to do and not to on their own property. people can smoke to death in their own apartment…in public places such as restaurants rules should apply and be enforced. It is the governments main job to protect its citizens. Borislav – government can regulate state institutions all it wants. The public doesn’t own private places such as restaurants or café’s, the same way the public doesn’t own my apartment. Look the government can force me to label my café when smoking is allowed, I’m fine with that but anything more is just too much. The public owns the streets, they can ban it on the streets if they like to but not on private property, that’s wrong, what if I want to specialise my store into a tobaco/coffee shop, I can’t because why not restrict the market. I know a guy who worked for 10 years in a night club where smoking is allowed. He never smoked but his lungs are destroyed, so he had to quit his job….. Keep killing in the name of profit. Luis – he wasn’t aware people smoke in clubs? Nobody is forcing people to go to clubs where smoking is allowed. The same way nobody can ban smokers from killing themselves, it’s an individual right. Ахмед – public does not own private places but it still does regulate what you are doing in them to a degree. Same way businesses are regulated and in the interest of public safety government can and should smoking in restaurants, clubs and bars. With that being said, in many places where those bans are enforced people can still find designated smoking areas. Feel free to do whatever you want as long as you do not mess with the health of others around you. They are in Italy, and it has been a great change. When the law was first proposed, all the bars and ristos, the entire industry, hollered and ranted it would be the end of their business; then, and since, smokers gather outside, with some places having dehors, where smokers can actually mingle and flirt, while inside people – and children – can actually breathe. (And town halls have often also conceded outdoor seating areas.) Win-win. This must be in Eastern Europe. In Western Europe it’s already banned. I am in favour of public indoor smoking ban. If someone wants a bar specifically for smoking, fine. I don’t want to breathe in other people’s cancer, which also stinks. It should be banned in all public places. Aubrey – Hehe don’t worry, you’re breathing and eating every day cancer provoking substances! Why would this be a European concern, as opposed to a national or even local one? No in bars,alkohol and tobacco are going together. yes,and coffee and after a very good meal,lunch. In some countries smoking is already banned in bars and restaurants. It works alright. Yes, definitely. When the ban was introduced in Germany (and other countries), people opposed to it claimed the world would end. It didn’t. By now the ban has been accepted by the vast majority of people, and it has become normal for smokers to smoke outside (in any weather). Yes. Smoking should be allowed only outside, never indoors. Have you been in Zurich?? Hi Xavier, what happens in Zurich? No. The matter regarding one’s health is solely the responsibility of the individual, not that of a bureaucratic few who think they have the moral authority to dictate people’s social lives. If a business owner decides to allow smoking, it is his right as it is his property. If one doesn’t like that they are more than welcome to go to another business. No one is forcing anyone to be in a café or restaurant that allows smoking. This is what freedom of association is. Take this away and you are on the road to authoritarianism. Any action that does not commit harm on a another person without their consent should not be banned and is no one’s business whatsoever. … ………..to keep people healthy throughout their lifetimes; harness new technologies and practices…..
Isn’t it of any personal advantage to strive for responsible living- save money on (national) health insurance, enhance longevity, prevent unnecessary suffering & premature death………” ? Suddenly such parental concern? What’s about the common evil of irresponsible drinking, advertising booze & alcohol? Or cant one touch & damage Heineken & other booze industries- loosing precious sin taxes? Shouldn’t EU politicians stick to basic EU competences, acts, directives & its irritating but unsolved policies and let peripherals be peripherals? Yes, please. And also at beaches and coffee/restaurant esplanades. Each businessman should be able to choose if he wants his shop to be smoke free or not and then his customers will choose if they want to spend their money there or not. It’s not a matter of the State to intervene. 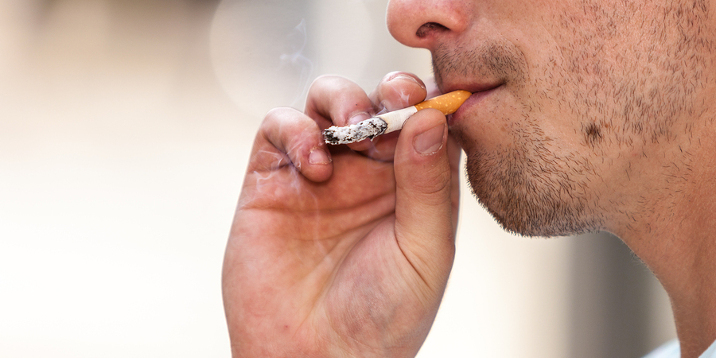 Hundreds of thousands of people die each year from inhaling second-hand smoke. The state is responsible for the safety of citizens, and public health issues should not be subjected to market forces. Public places should be smoke free such as streets or parks. Restaurants however, and owners of private property needs to be able to decide for themselves. The power stays with the people. Great, lets keep killing our employees with the clientes smoke, That is very sad. Yes! Follow the example of what Hungary has done. It works pretty well. These decisions should be left to owners of the establishment. Definitely yes for ALL public places. This has already been applied in most of western Europe….the consumption figures are mostly driven by eastern Europe (& Greece ) apart from Luxembourg & Andorra ( which are skewed due to low taxes leading to higher purchases). Of course it should. I know a guy who worked 10 years in a Night Club where smoking is allowed. His lungs are destroyed so he had to quit his job. Please let«s stop killing people for profit. Its a health issue and we should protect the workers lives.. Stop stop it. In Portugal everyone loves to smoke in pubs, bars and restaurants and spread their poison on others. I think restaurants and bars should set up a few smoking spots for smokers, after all, most people do not smoke! Yes, with all public areas. Smoking should be allowed only in special booths with filters. Booths should be paid for by smoking tax and strict fines when smoking outside of booth. A smoking ban is not of EU business. Every member state will sooner or later follow a smoking ban of other member states when the debate on national level is ripe enough. An EU ban will be seen by many as another “dictate” from “Brussels”, although smoking is poisonous. There are limits to trangressing cultural transformation. In the 80ths we smoked in the university class room. The ban on smoking has to stop. It is our culture at stake. I suggest nobody should follow your or any similar advice! Culture? Didn’t you know that smoking is not only a bad habit but an addiction! People who destroy their health deliberately (not only by smoking) should pay a surcharge on their monthly premiums. The private sector health or life insurance considers smokers a higher risk than non smokers- they automatically charge a higher premium- the state health insurance should do the same. I personally boycott any establishment allowing & supporting smoking= addiction! By increasing the risk to all- you contribute to higher cost for all. Rather stop smoking! How?